Earlier this month we had a visit from the Edinburgh International Film Festival and members of the Royal Scottish National Orchestra to take promotional shots ahead of their theatrical showing of JAWS – In Concert. To coincide with this thrilling experience, we’ve taken the opportunity to share the truth about the predators of our oceans, and dispel any preconceived ideas of these beautiful creatures. 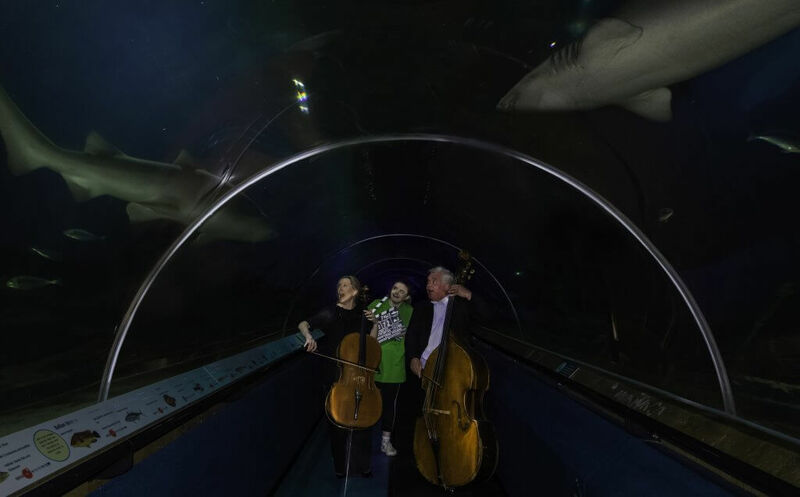 On an occasion where we are celebrating the cinematic achievements of ‘Jaws’ with the beautiful soundings of the RSNO, Deep Sea World are working hard to share the truth about our oceans sharks. Often portrayed in films as evil and menacing villains, such as the Joker or Darth Vader, sharks are perhaps one of the most misrepresented creatures on Planet Earth. It is no surprise that these animals have taken up this role, with Jaws filled with fearsome teeth and the ability to sense blood from a distance, they are the classic movie monster. However sharks are really not something we should fear and they should certainly not to be persecuted in the way that they are. It is quite the opposite actually, with humans being more of a threat to these “beasts of the ocean”, than them to us. There are hundreds of species of shark found worldwide; however, only around 10 are thought to be aggressive towards humans. Even the more aggressive species are not predisposed to hunt man like they are often portrayed. Most shark attacks are a case of mistaken identity, them acting out of fear or them responding to human behaviours to which they have never before been exposed. They DO NOT hunt for sport, for revenge or for pleasure, as shown in films such as ‘Jaws’. 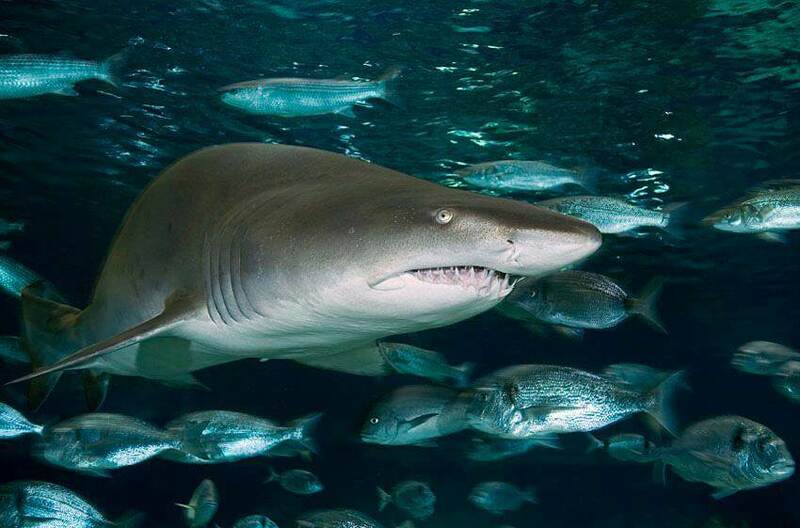 As well as this, their ability to sense blood is not as powerful as is often made out – in fact the idea that they can sense one drop of blood in the surrounding area, when in reality, only some sharks can smell one part in a million. Even in these circumstances, it certainly does not send them into a manic rage like films such as ‘Finding Nemo’ show. Sharks use this ability to hunt their prey, which includes creatures such as fish, sea turtles, seals, and NOT man. Sharks teeth are also not designed to eat a person and so even if they wanted to, they could not. These teeth are designed to cut through soft meats such as fish, and so if they where to make contact with human bone they would very likely shatter and break. Like all animals they obviously want to avoid this discomfort and disadvantage and so will not go out of there way to attack people as it is more of a detriment than a benefit to them. Sharks are intelligent animals that will cleverly calculate whether their prey is worth the energy to pursue them. A final point to mention is that although there are a handful of accidents – an average of 6 deaths per year worldwide – involving sharks, humans are responsible for the deaths of 100 million sharks every single year. Shark finning, trawler fishing and shark nets along tourist beaches, all contribute to this yearly massacre, yet, as has been explained these gentle giants are really not to be feared. Although you may believe that the removal of sharks from the ocean makes them a safer place, that couldn’t be further from the truth. Sharks are essential in almost every ocean food chain and there removal can damage or destroy ocean habitats essential for a healthy and happy earth.